The trampolines are under construction! 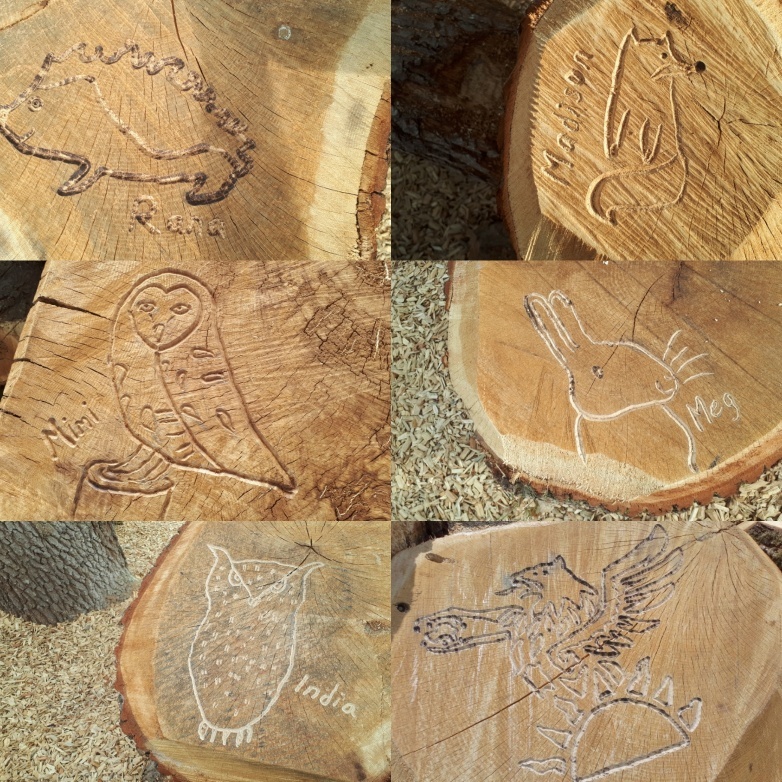 A big Thank You to all the children who created wildlife images which have been carved into the oak dens in Easebourne Park. 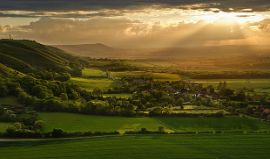 Please note: Easebourne Parish Council Meeting which was due to take place on 11th July 2018 has been postponed and will now take place on 18th July 2018. 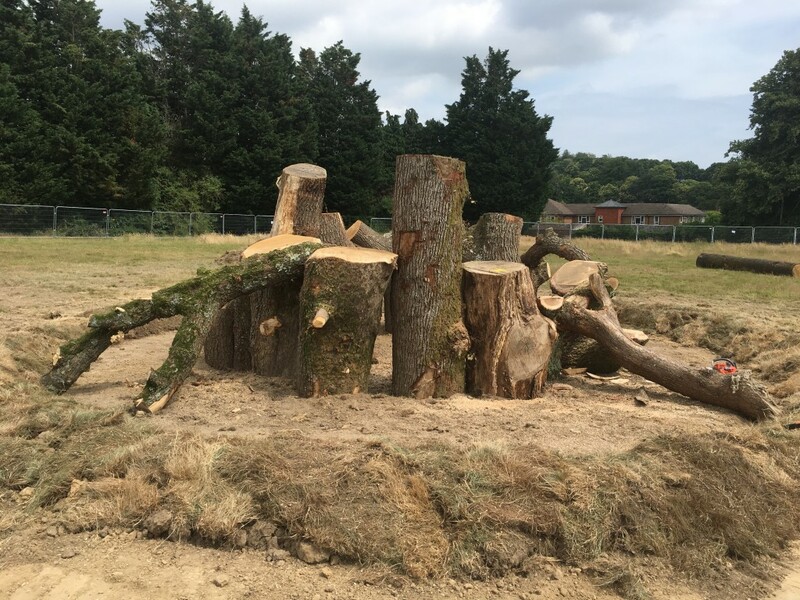 As we approach the end of third week of the Wildwood phase of the Easebourne Park project, we are delighted to report that the Wildwood Trails and Dens are very much complete. 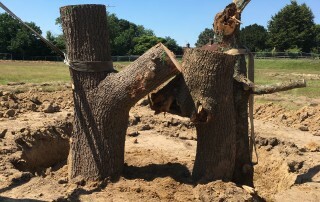 Whilst trimming, small adjustments and carving remains outstanding, the surrounding raised bunding, designed to retain the bark, is in place and the bark is to be delivered on Thursday and/or Friday. 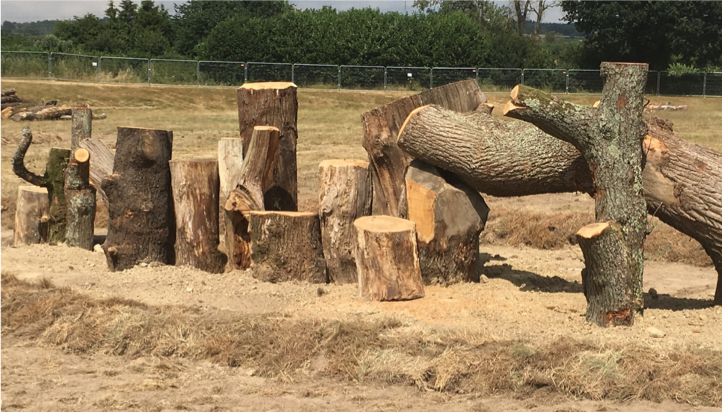 We are sure everyone we will be very satisfied with what Lawrence Trowbridge of Wildwood has achieved with the Cowdray Estate donated wood. 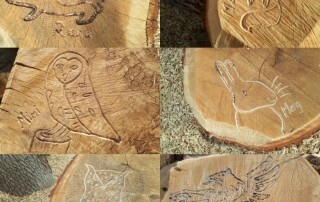 Pleasingly, the children of Easebourne Primary School and Conifers School have provided carving designs which will be incorporated into the wood of the dens and trails shortly. Filling the pond with water is an issue for now. 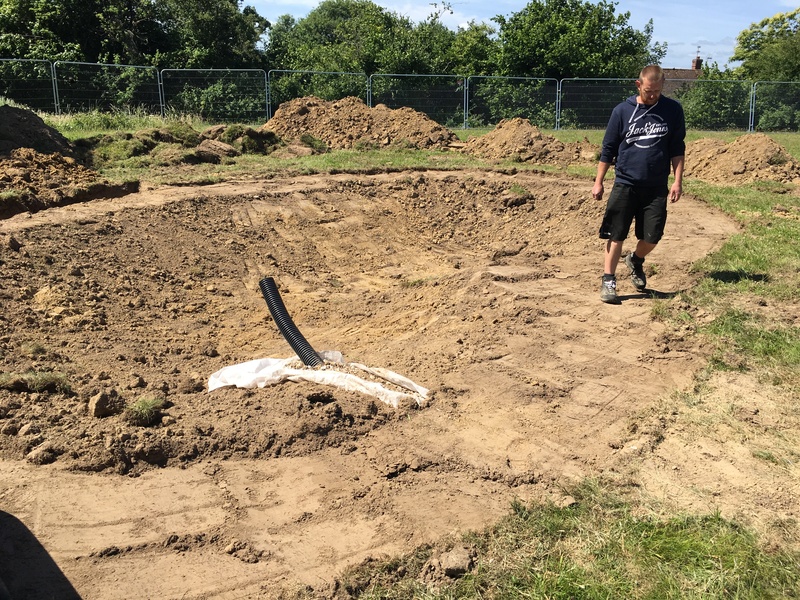 ACS Groundworks very generously has donated a substantial amount of their water which has made a great start; however, we will need much more to fill the pond and allow planting of the water-loving plants to be undertaken. It may be that this aspect of the Park will have to remain unfinished until nearer the winter, when the pond will be filled naturally through the drainage system we have in place and through falling rainwater. 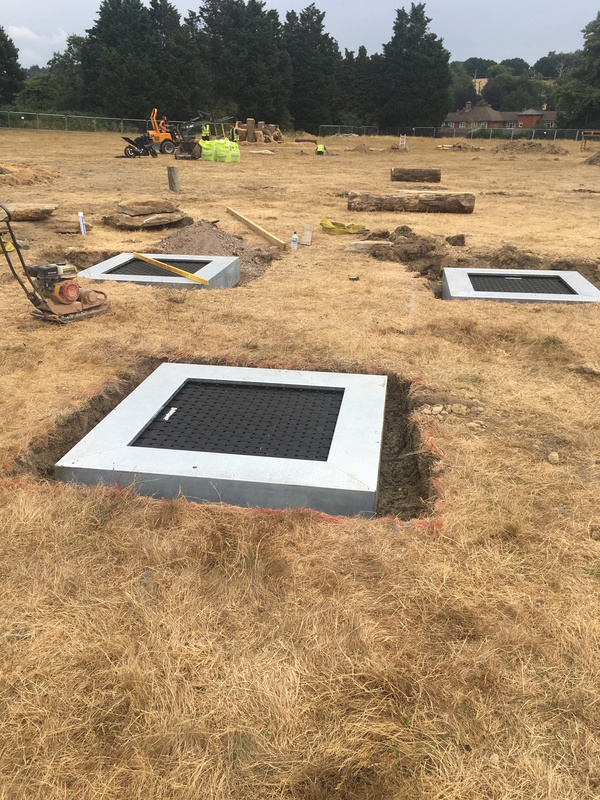 Chris Collyer, of Playsafe Playgrounds, is due to start on 16th July and PB Groundworks will be returning to finish off the park with paths in early August. So, all currently on time and on budget. Easebourne Parish Council have three new opportunities for volunteers to get involved in the creation of Easebourne Park, which is adjacent to Wheelbarrow Castle. 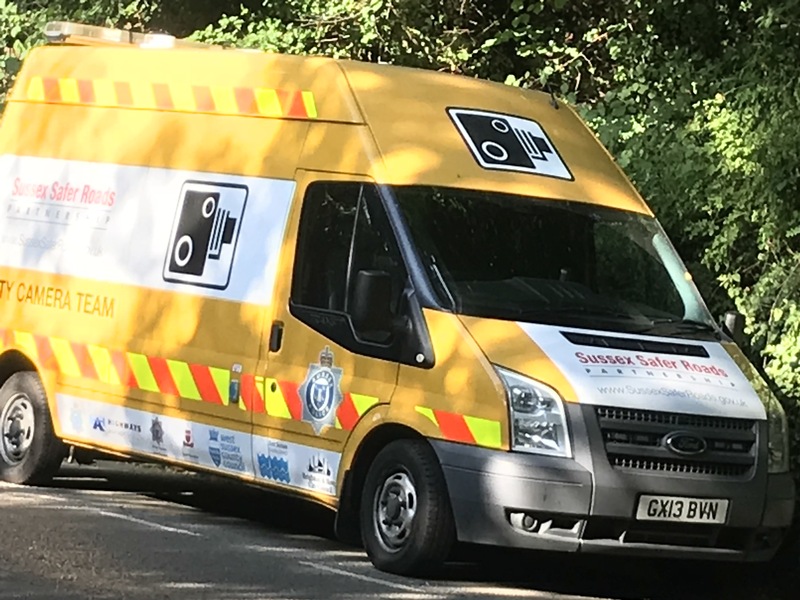 On three Mondays: 17th and 24th September 2018 and 1st October 2018, we will be joined by Darren Rolfe from West Sussex County Council who will the tasks which include installation of a new ramp and two sets of steps which improve access to the Park for everyone. 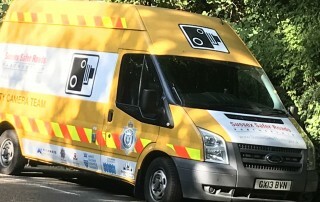 All equipment will be provided as well as tea and biscuits, so if you can spare a few hours or would just like further information, please get in touch! 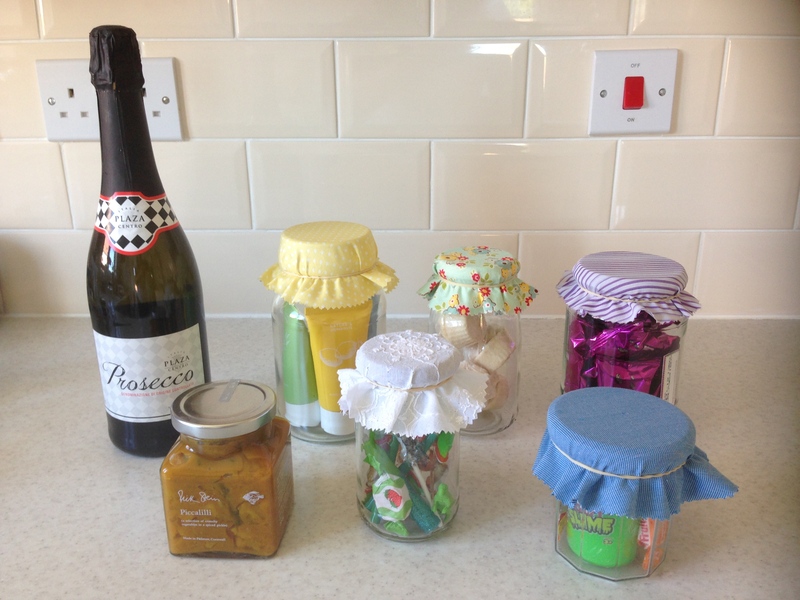 Contact parishclerk@easebourne.org or Sharon on 07342 166 188. Building the Oak Structures has now Begun! 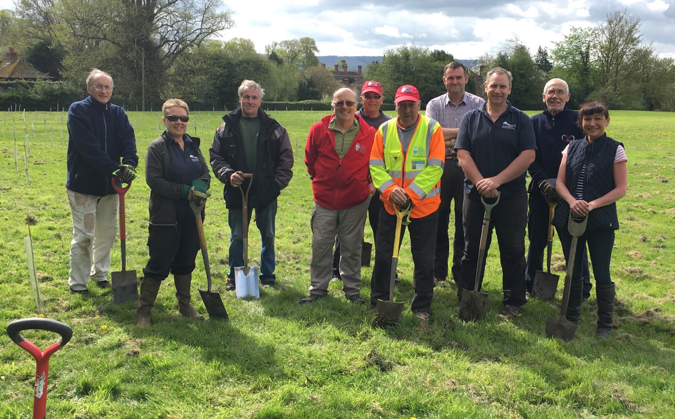 As some of you may have already seen, work has well and truly commenced on the early stages of the park. 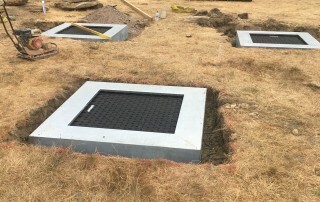 The drainage channels are in, with the exit of the drainage pipe designed to flow into the pond. The pond itself has been excavate and the natural clay liner due to be delivered and fitted early next week. 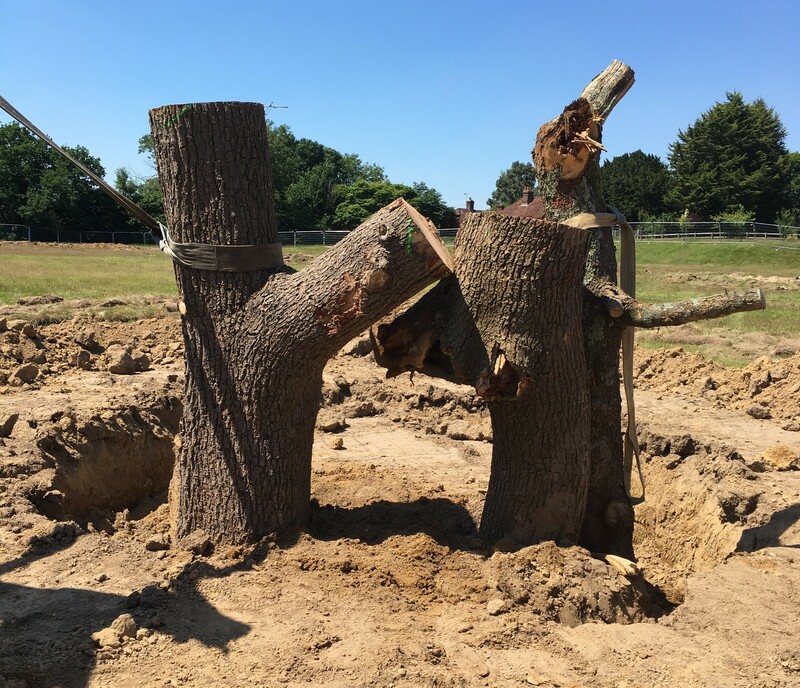 The oak wood trunks and branches, kindly donated by the Cowdray Estate, will be delivered over the next 2 weeks with the first deliveries starting on Mon 25 June. 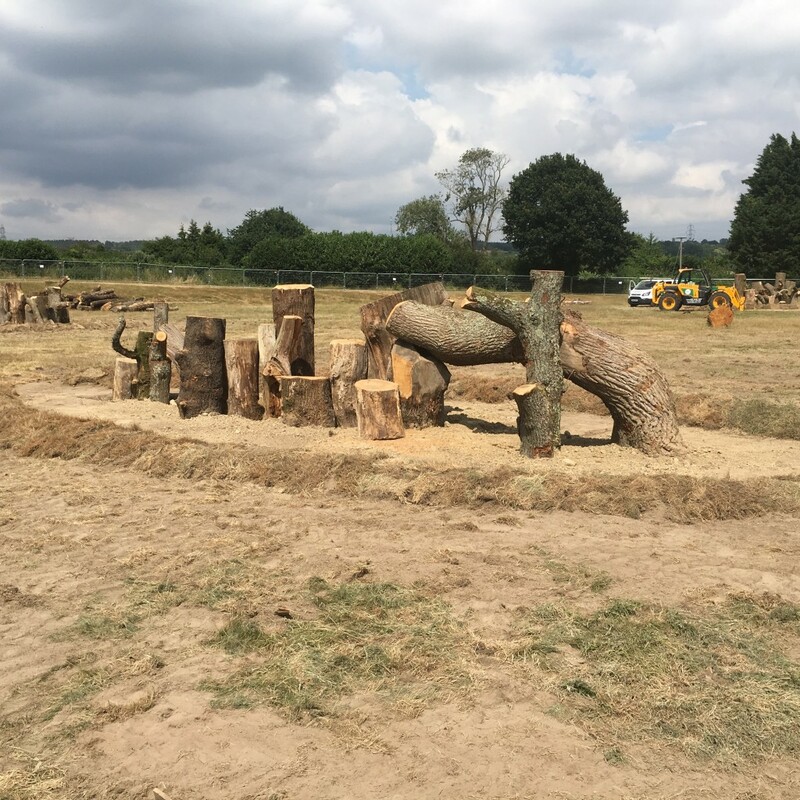 Wildwood personnel recently visited Cowdray and inspected the timber which has been allocated to the project and came away very impressed indeed. These timber deliveries will be timed to cause minimum disruption to the primary school car park users. If this fine weather continues, the progress of the Park will be swift. 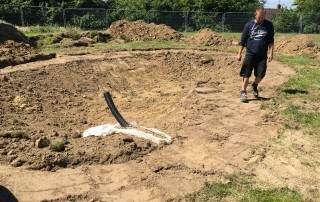 The pond dug, awaiting the natural environmentally-friendly clay liner, with drainage exit pipe from the groundworks clearly visible. The pond measures approx 11mtrs x 6 mtrs and is kidney shaped. It will have at least 2 log seats on its periphery.